Where Lorelai leads, we will follow! To gear up for the Gilmore Girls revival, Trulia took a look at the real cost of some favorite homes in Stars Hollow. On November 25, Gilmore Girls fans everywhere will be enjoying post-Thanksgiving euphoria by binging on six hours of the show. 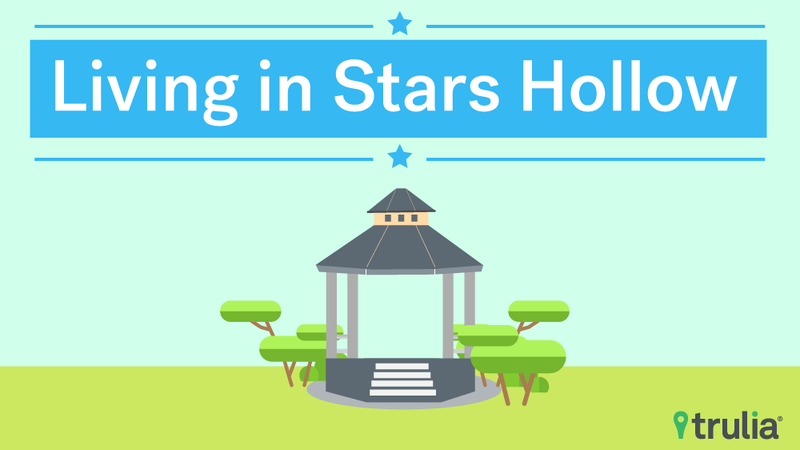 To celebrate, Trulia takes a tour of Stars Hollow, real estate style. So grab a cup of coffee and join us as we check out some of our favorite homes from the show. Copper Boom! 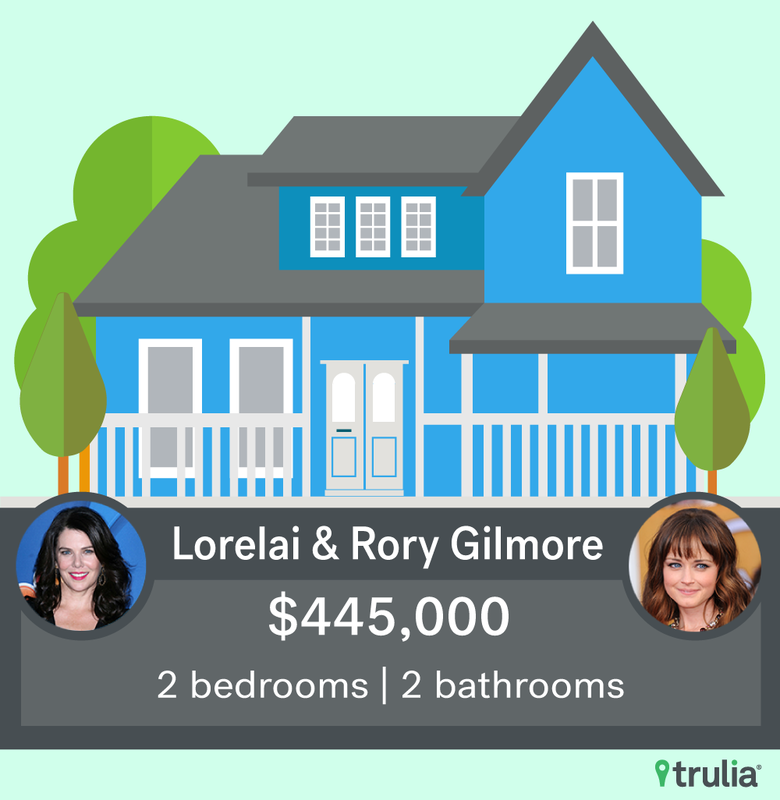 The most iconic home from the show is, of course, Lorelai and Rory Gilmore’s house, which Trulia estimates would come with a $445,000 price tag. Throughout every breakup, makeup and, even, termite infestation, this house was a constant for Lorelai. 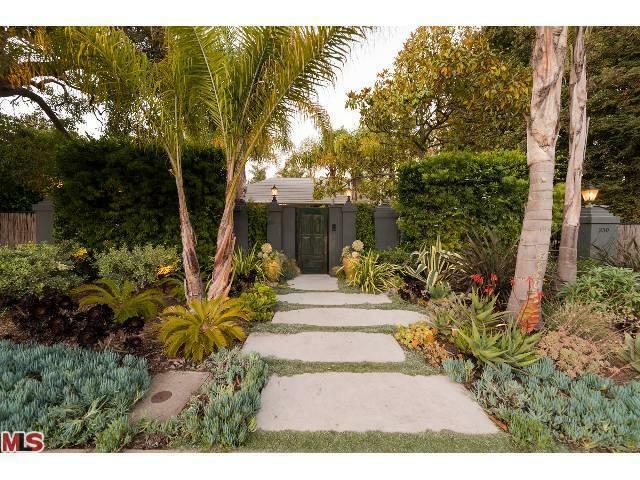 Luke even renovated the home to accommodate the couple. In the trailer, we see Luke settling into the kitchen and looking right at home. We assume this means good things for the couple. Now that Luke and Lorelai seem to be undeniably together, what does this mean for Luke’s beloved apartment? Perhaps Jess will reclaim the place, or maybe Rory will call it home while she determines her next step in life. 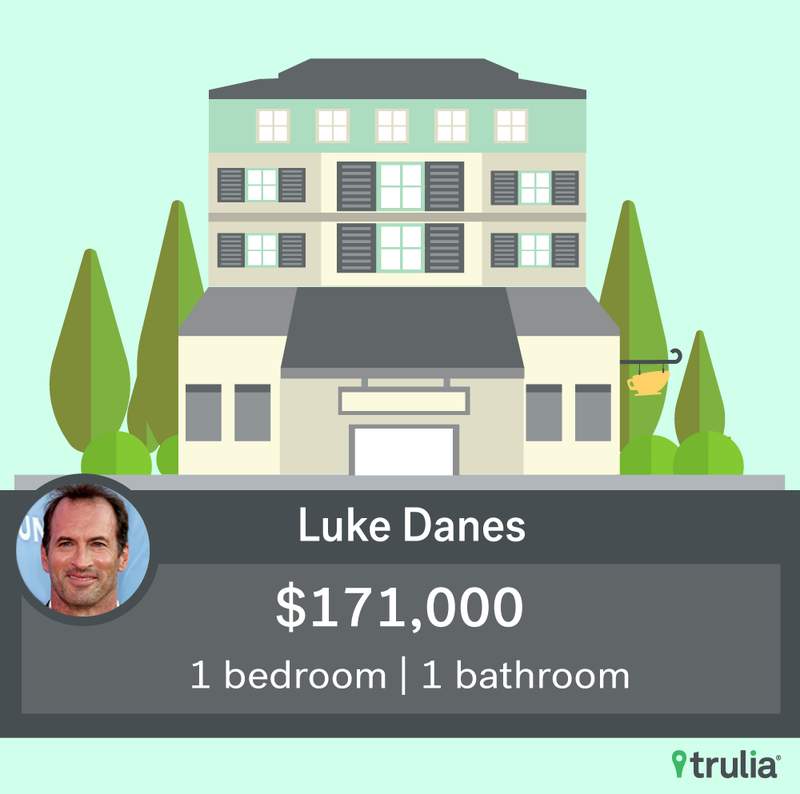 Whatever the case may be, Luke’s studio apartment would go for about $171,000 today. Seems like a reasonable price for a writer, journalist or even a teacher to afford. At this point, it is anyone’s guess who will take over the space! As for Lane and Zach, if Hep Alien didn’t take off, they could still be living in their old apartment. Although it would be a bit small for their band equipment and the twins, maybe they bought it as a recording studio or practice space. For $165,000 it could be useful for the family. Finally, Sookie and Jackson’s charming abode was another Stars Hollow favorite. It was perfect for the family, except for when Beau came to town. It seems that Sookie is still working on amazing looking creations at The Dragonfly, but has the family found a bigger place? Or maybe a farm house where Jackson can build a green house in peace. 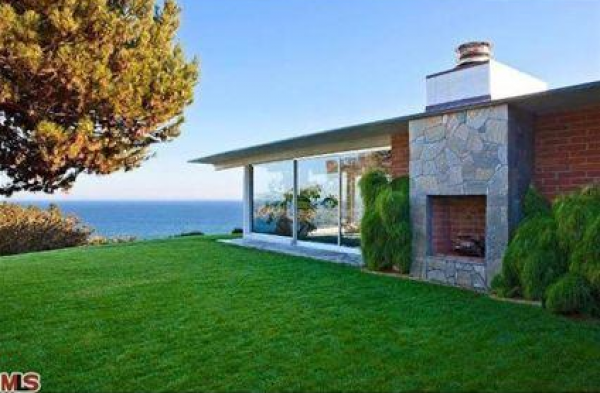 Regardless, Sookie’s home would go for $685,000 in today’s real estate market. We’ll see whether the family held on to this home. We hope that Trulia’s look into Stars Hollow holds fans over until the release on November 25. So stock up on pop tarts, pizza and tater tots and get ready to see what the gang has been up to for the last nine years. And in the meantime, you can fantasize about which Stars Hollow digs you’d like to crash in! 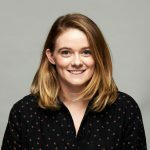 Methodology: Trulia calculated the home prices by looking at the median value of similarly sized homes in each Litchfield County, Connecticut. 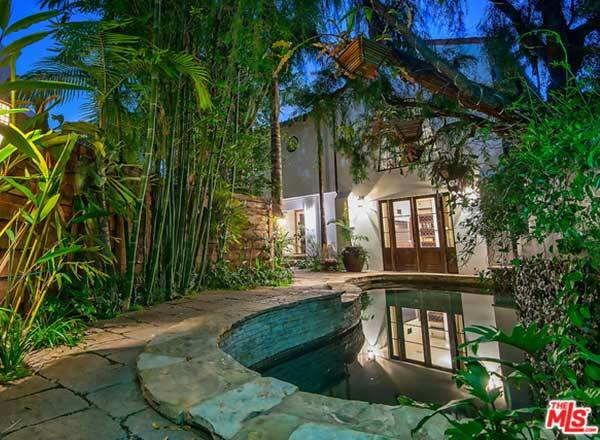 The hunky singer is trying to break the chains of West Hollywood.